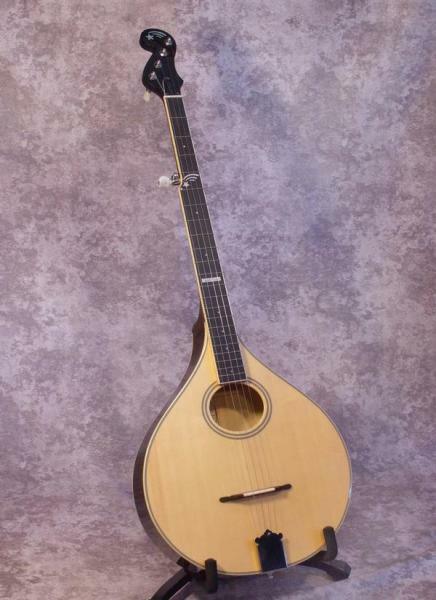 Think of it as a banjo on a wooden mandola body. 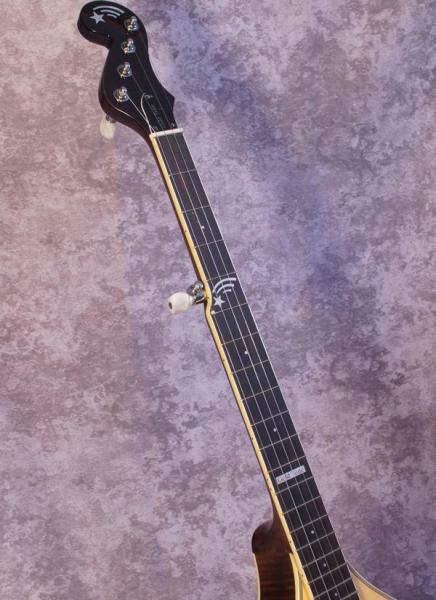 Easy to play and has a warm and woody tone that's quieter than a real banjo. Great for practicing or just hangin' on the couch! Solid Spruce top, Curly Maple back and sides, 26 1/2" scale, Planetary tuners, bone nut and saddle.